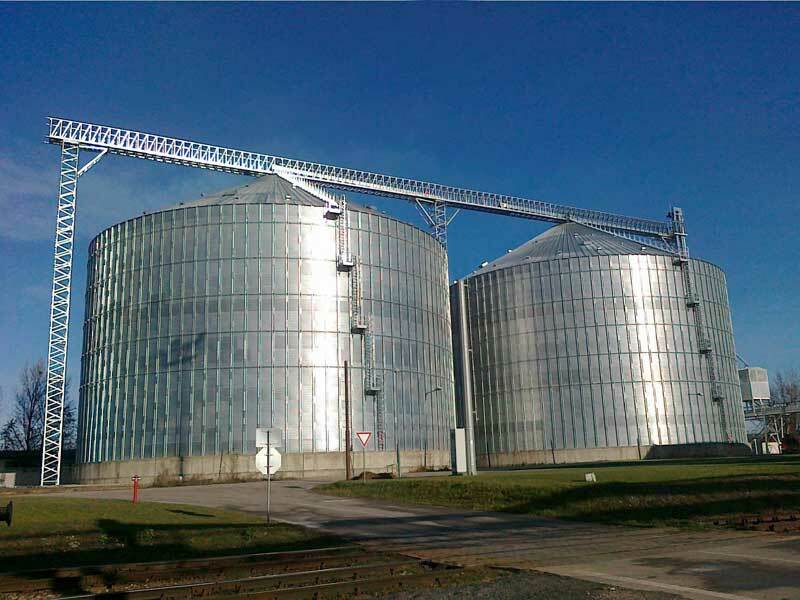 Galvanised sheet metal silos are nowadays the best alternative for grain storage thanks to their versatility, easy assembly, hygienic handling and low storage cost. We design our silos based on your needs, with the latest technological resources and using the best quality materials pursuant to current European and US standards. All our silos are made of high quality steel and offer an innovative metal coating up to 10 times more resistant to environmental corrosion than traditional galvanisation. We have an in-house engineering team and are present in 45 countries, which allows us to assure a first class service anywhere in the world and to offer longer guarantees for our products. 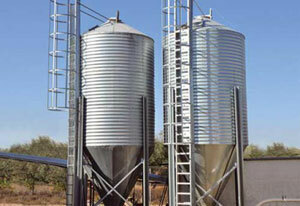 Our silos with a cylindrical body and 30º sloped roof are designed to store grains, seeds and pelletized products. Silos manufactured with galvanised steel S350GD of high elastic tolerance and with Z600 minimum coating equivalent to 600 g/m2 of zinc. 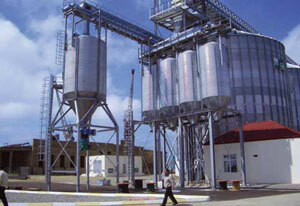 Our production is raw-material efficient, as we use a lower quantity of steel in our silos for any given silo height. All our departments use the same enterprise resource planning (ERP) system, allowing us to keep track of the project from the beginning to the end, and also provide better post-sale service. Our supervising team is present at every facility to ensure that installation is done according to technical specifications. Fully-automated production lines allow us to manufacture storage plants in a shorter period of time. Corrugation pitch of 104mm that creates smoother wall rings, thus avoiding grains remaining in the wall sheets during the discharge process. We offer customised client solutions. We have presence in 45 countries, with agents, distributors and commercial networks in each market. We make it a point to select local people with the knowledge in their target markets; such that Silos Córdoba gains insights on the specific needs of those regions. Working alongside our in-house engineering team, this commercial network enables more versatility than others, and allows us to provide customised solutions. We will analyse every enquiry from potential customers, in order to recommend the most suitable solution. Factors that will determine the final solution may include climate (cold or heat, dry or humid); number of crops harvested per year; as well as the intended use of the stored grain; be it flour mills, feed mills, breweries, etc. Ventilation systems or cooling mechanisms to keep the grains safe inside the silos and to accommodate to different climates. Wind reinforcements for high wind speeds, when it is raining or snowing. Double-wall rings that create an air space between the wall sheets, which insulates the interior from the external temperature to avoid problems like condensation, lumping or caking. 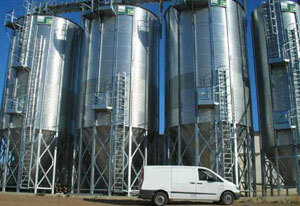 Roof extractors to remove air from the interior of the silos. Silos Córdoba works with a wide range of wall ring thicknesses. We also have pre-lacquered sheet metal with different finishes. As an option, a layer of baked paint can be applied for large thicknesses. Our silos feature an inspection door for maintenance for maintenance in the second wall ring as well as another one on the roof. 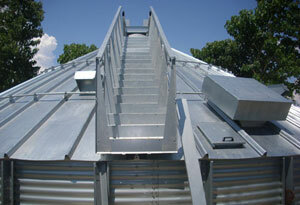 The access stairs to the silo, roof and catwalks are designed to be safe and ergonomic. Designed pursuant to standard UNE-EN ISO 14122-2 and manufactured in highly-resistant galvanised steel, they offer the best solution for silo inspection and maintenance. 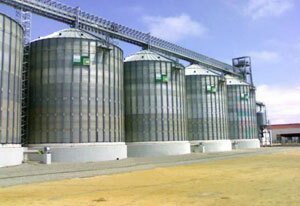 Silos Córdoba chimneys guarantee proper silo ventilation and the meticulous design prevents the entrance of water even in the most adverse of conditions. They may also be supplied with an anti-snow kit. The minimum galvanisation of our stiffeners is Z-600. This option goes for stiffeners up to 3,5 mm, thicker stiffeners are hot-dip galvanised. Silos Córdoba has evolved with the designs of its roofs by developing Z-profile structures with higher bearing capacities so they can now withstand mechanised transport with a performance of up to 1,500 T/h. For easier visual control of the silo and the material stored inside, inspection holes are included on the roof which, due to the quick-close system and easy access from the stairs, are an important handling tool. It allows the silo to maintain its cylindrical shape without any effect from wind loads which offers rigidity and safety. They may be installed on the roof or on the wall ring depending on the diameter and height of the silo.